Putting a player on a hand is at the very heart of good poker play, yet often massively misunderstood. Most people assume that the goal is to put a player on two exact cards. This would be great, but the truth is it's rarely possible without having spent hours and hours at the table with a person. Occasionally you may find someone so powerfully uncreative that you'll know exactly when they've got a huge hand and when they don't. Enjoy it, because it's rare. But wait. All those books you've read say you should play the player. How are you supposed to do that if you can't hope to accurately put someone on two exact cards? No limit adds the added excitement of being able to bet varying amounts (see bet sizing for more information), but people tend to bet similar amounts whenever they bet. So with such a limited number of actions, people will tend to take the same actions with different hands. This is why it's so hard to put someone on two exact cards. The key to making sense of this situation is not to guess. It's to understand that while our information is limited, we do have information. We'll call that information a range. A range is simply all of the hands that a player would take a particular action with. For example, when under the gun (utg) in a six-handed online $200NL game, a solid player will raise utg with 22+/JTs+/QTs+/KTs+/AJo/KQo. That's actually a fairly tight range, close to maybe only 17% of all hands dealt. In some ways, it's easy to deal with someone when they have a narrow range. Fold your bad hands, reraise your good hands, and call with those sneaky implied odds hands that can flop huge. Easy game. What gets much trickier is post-flop play. To illustrate, let me talk through a hand to demonstrate how thinking about a range happens from preflop to river. Giving opponents a range example. I'm dealt Q Q in the CO of a $200NL game. Folds to me and I open for $7. Folds to the BB who calls. The BB is a player I'd call loose, but not stupid. He calls too much preflop, he isn't very aggressive postflop, and he'll tend to overvalue hands. He had $159 at the start of the hand, $150 as we go to the flop. I cover. So now a few things to note. I'm in the CO and I raise a lot in the CO. I attempt to steal the blinds at a clip of about 35% when given the chance. That's a lot of hands that aren't very good. So my range is wide. Likewise, the BB likes to call a lot and probably has some vague notion that I like to raise a lot. Bad players see people raising and decide to stand up to them by calling a lot more. So he probably thinks I have a wide range of hands (if he's thinking about it at all), and I know that he has a wide range of hands. We see a flop of T 5 3 . After the rake, there's $15.5 in the middle. That's about as good a flop as you can see if you have queens. Unless the BB has TT/55/33, I'm ahead of his hand and he likely has five outs or fewer to improve. The BB checks to me, and I bet $10. I don't want to bet big here. The reason has to do with ranges. If I bet big, then he'll very often fold hands like 77 or 76. He's of course never folding a flopped set. He probably won't fold a ten for one big bet on the flop, but he might get nervous on the turn or river and not put all his money in with his five-out draw that will rarely get there. On this type of board. I want to get a lot of calls. He'll be making a big mistake by calling, so I don't mind betting a small amount. I make money here not by getting him to call big bets rarely, but by getting him to call small bets, often and incorrectly. So, like I said, $10. The BB checkraises to $27 total. Three things. First, weird raise size. This is a site with a "Bet pot" button, and people love to use it. The BB has intentionally not used it and instead made a small bet. I'm pretty confused by this. He could definitely do this with a set, trying to build a bit of a pot and stack me on later streets. But he could also think a pair of tens is good here. Hands like T9s, KTo, AT, JT, etc. are exactly the types of hands that call out of the BB in this spot. Good players wouldn't have hands like this, but the BB isn't a good player, so we can't eliminate them entirely. So I decide to just call the $17 more. At this point, I think his range is T9s+/JTo+/TT/55/33. Some people might say I'm being generous here, but remember that this is a fundamentally weak player. Vs. a good player, I'd probably call the $17 too, but I'd call for an entirely different reason. More on that in a bit. With my call, the pot, minus rake, is $68. The effective stacks are now $125. The turn is an offsuit 6 (making it T 5 3 6 ), completing the rainbow board. Ok, that's weird. What could this mean? Well, he could be getting fancy, going for two checkraises in a row with a set. That's an odd play, but people who aren't good at poker tend to make odd plays. Two pair is entirely unlikely, because of what we've estimated his flop range to be. The six is a complete brick. If he had a pair of tens, he didn't improve. If he has a set, he doesn't need to improve. Online, you'll see this called way ahead/way behind, or just WA/WB. But let's not give him too much credit. He might realize that he made a small flop raise, and so maybe thinks we're getting fancy with AK. Or maybe we have a weak ten, like T9 (which is dominated by the majority of the BBs ten holdings). We still have him on the same range as the flop. We know he didn't improve. But we think he might call a turn bet not just with his sets, but a lot of his top pairs too. Again, this isn't a spot where I want to make a big bet. I want him to call often. If he has anything but a set, he's making a substantial mistake calling this bet, so I'm going to make a lot of medium-ish to small bets, and look to get called very often. Now is the moment of truth in the hand as well. If the BB c/r here, I will probably call, mostly out of frustration, partly out of fear that he's simply overplaying a ten. If he pushes in his remaining $85, I don't expect to be a favourite to win that money, but there's another $140 in the pot on top of that $85, so I simply can't give away my equity in that money. Instead, the BB just calls. I'm quite confident now he has a ten and is going down with the ship. I'm not sure what his kicker is, but I'm positive he has a ten in his hand. The river is a nine, which only improves T9, the BB checks, I bet enough to put him all in for another $85 and he calls getting 2.7:1 with ATo. Giving an opponent a range analysis. Seems like a simple hand. Overpair wins 3/4s of a buyin from a calling station with tptk. But let's think about how different this hand would be against a good player. After the flop checkraise, I'd be putting a good player on a range of something like ATs/88-TT/55/33/76s/+some bluffs. A good player will be bluffing me a fair amount on a board like this, either with his gutshot or total air. A good player knows that I have absolutely nothing a lot of the time. Even if I had a reasonably strong hand, like 88, I'd have trouble calling even a small checkraise in this spot, because it's very likely I'll have to call turn and river bets with only a 23:1 shot at improving and no real way to know whether my hand is good or not without losing a stack. A good player is taking advantage of my weak range on this type of board with a completely different range of hands. And it's a legitimately tough spot for queens. If I push, he doesn't call very often, but when he does call, I'm a 23:1 dog almost always. Because queens are at the very top of my range here (the only better hands I could have are 33/55/TT/AA/KK), I really hate folding to him, because that lets him succeed with too many of his bluffs. So against a good player, I'm calling the small flop raise too. And given the stacks, I'm prepared to push over a turn bet fairly often (unless it's some insane card like an ace or another T). The turn is where it gets very different. When that brick rolls off on the turn (though that six isn't a total brick for someone bluffing w/a gutshot) and he checks, I'm now in a really weird spot. The pot is $68. There is only $125 left to bet. Yet if I make a bet trying to get the rest of that $125 in the middle, I'm going to fold out most of his bluffs (maybe he'll get stubborn with a rare ten or his gutshot+pair), and lose $125 to his monsters. So against a good player, I would check this turn back. A check allows him to take gutshots or ace-high bluffs to the river. But we're not really concerned about that much. Four-outers or three-outers are nothing to be afraid of. What we're more concerned about is that he'll still have a reasonably wide range on the river. So if a brick like that deuce rolls off and the good player now bets $55 on the river, we can snap-call and expect very often to see a bluff. One last thing to notice. Against the bad player, I was able, and fairly quickly, to put him on a hand that had a ten in it. He might have shown up on the river with a set, or he might have c/f the turn with some weird bluff. But mainly, when he c/c the turn, I know he's got a ten. I don't know if it's T9 or AT, and I'm not going to pretend to be smart enough to know. But I know pretty well where I'm at, and I managed to win a $300+ pot because of it. But against the good player, I'm genuinely in the dark. He might have A3. He might have 55. He might have ATs. Because I don't know, I have to play a much smaller pot, and I'll probably lose even that smaller pot more often. You're going to find yourself in a lot tougher spots vs. good players. You'd be insane to try to put them on exact hands. It would be dangerous to try. You would have stopped playing poker (making correct decisions based on the information you have) and started playing a guessing game. Take the information you have and make the best decisions you can. After that, it's up to the cards. The article was written for ThePokerBank by Chris 'casaubon' Mortell. 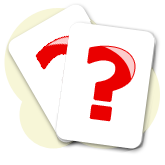 Chris is a regular and well known poster at the Cardplayer Forums.